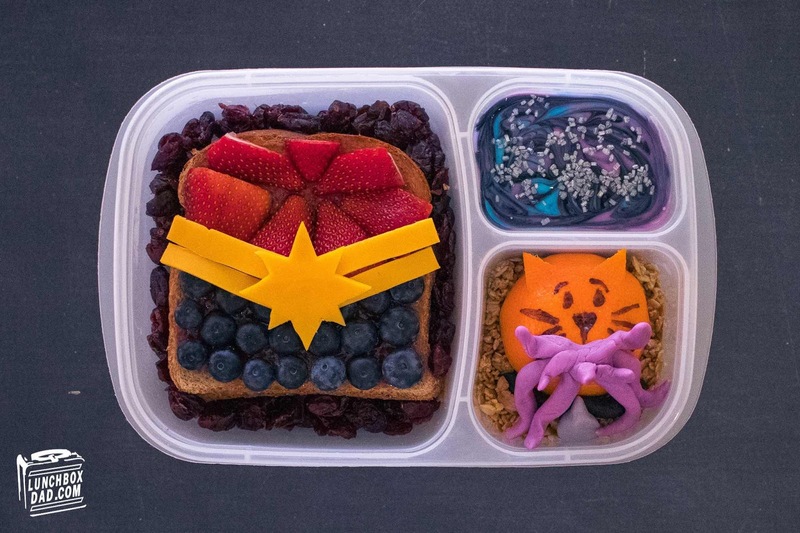 Ingredients: Whole wheat bread slices, nut-free spread, jam, sliced strawberries, blueberries, dried cranberries, sliced cheddar cheese, food coloring, yogurt, silver sprinkles, mandarin orange, granola, fondant. 1. Put nut-free spread on a slice of bread and one more bread slice on top of that. Cover the second slice with jam. Arrange blueberries and strawberries as shown in photo to create the front of Captain Marvel's uniform. 2. Cut strips of cheese and then make a cheese star to place on top of sandwich. 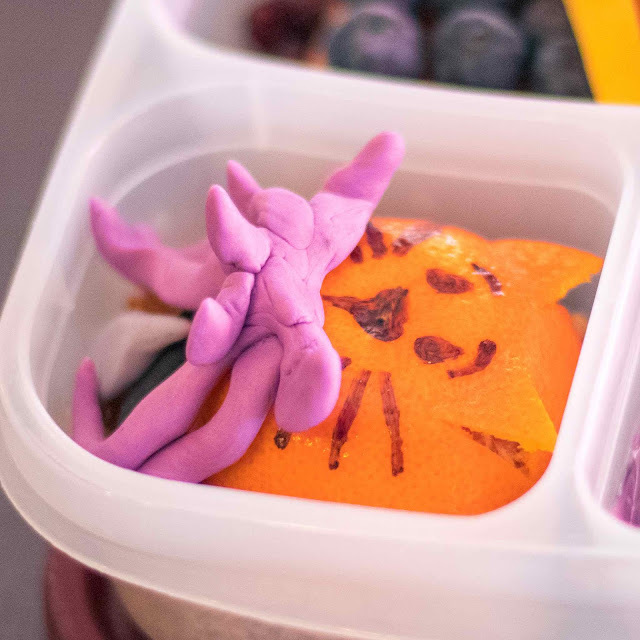 Place in main compartment of lunchbox and surround with dried cranberries or raisins. 3. In four bowls equally split desired amount of yogurt for lunch. Using food coloring, make one bowl blue, another black, the third pink, and the last purple. 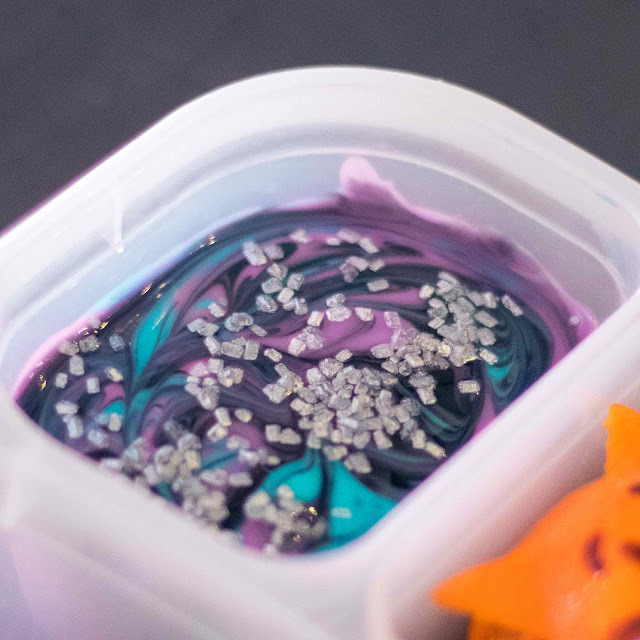 Put small amounts of each color yogurt in side compartment and gently swirl with toothpick to create a galaxy look. Top with silver sprinkles. 4. Use a marker to create the eyes, nose, and whiskers of a cat face on the mandarin orange. Cut two shallow triangles towards the top and lift up to make cat ears. Place in second side compartment and surround with granola or other small food that will fill in the space. 5. If you want to create Goose's mouth tentacles and collar, use different colored fondant and form into the shapes you see in the photo. It is really easy to use and I had it on hand. Feel free to use a different food if you have something that will be a good substitute. 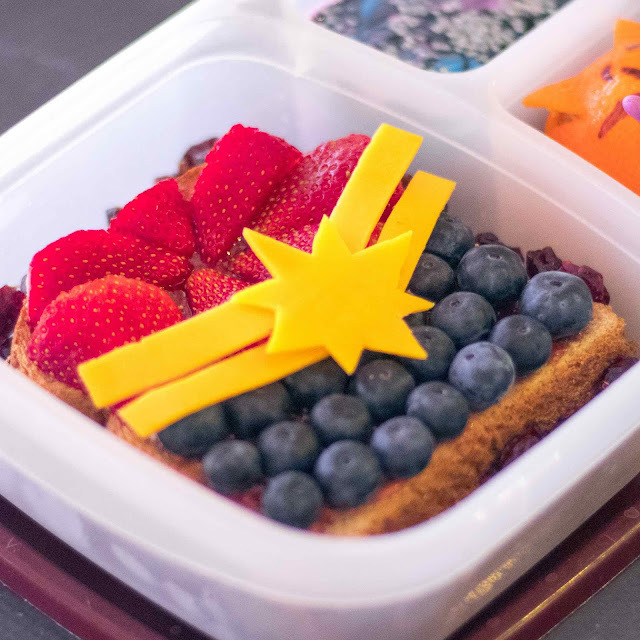 Pin this Captain Marvel Recipe!